Ultra fine high quality self levelling white primer with great gripping force and resistance. 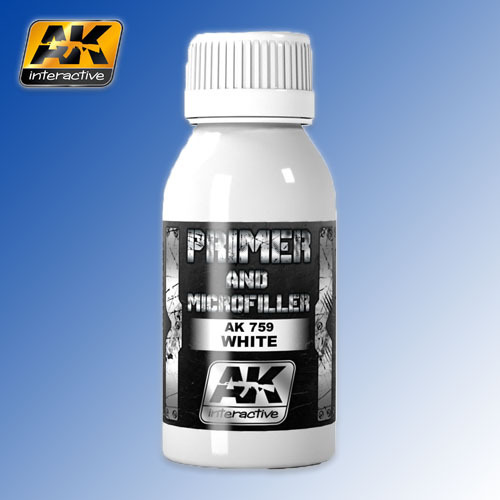 It can be diluted with AK470 Xtreme Cleaner/Thinner, although it is ready to be applied by airbrush. To clean it is recommended to use AK470 Xtreme Cleaner/Thinner as well.